Mercator Gold plc (AIM: MCR) (“Mercator” or “the Company”) announces, detailed work has commenced on the mineralised zones at Bluebird, Paddy’s Flat, and Meekatharra North. Drilling programmes have been initiated, together with reviews of previous drilling results and historic reports, to determine and evaluate a timetable for future production. Mercator will, as a result of these studies, target as early as possible a recommencement of profitable and sustainable production. Mercator also announces the appointment, with immediate effect, of Mr Denis Geldard, aged 59, as Operations Director to co-ordinate and manage the Company’s move to gold production. Mr. Geldard is a mining engineer with considerable international and Australian gold mining experience. He was previously a Senior Manager in the Iluka Resources Ltd Group in Australia, Indonesia and the USA, and has extensive previous production experience managing gold operations in Western Australia including the Meekatharra gold belt. From January 1999 until January 2002 Mr Geldard was the Operations Director of PT Kobe Tin. Evaluating the Bluebird deposit for production is the first priority for the Company, given its close proximity to the treatment plant and the advanced status of this project. 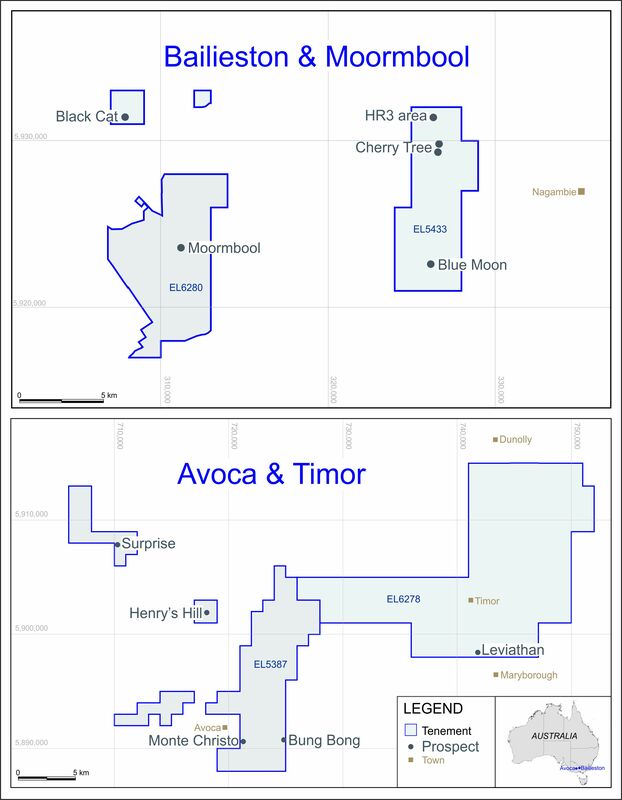 Bluebird, the subject of previous drilling, has a current global resource of 5,280,000 tonnes @ 1.9 g/t Au for 326,000 ounces. The bulk of these ounces are contained within five high-grade domains, 1,698,000 tonnes @ 4.5 g/t Au for 244,000 ounces, surrounded by a lower grade alteration halo. This resource has been defined over a strike length of 500 metres. Gold mineralisation extends north and south of the current resource with RC and diamond core drilling planned, in early 2006, to extend the resource along strike, and at depth. Resource definition and exploration drilling is planned targeting the Bluebird lode system immediately north of the existing bluebird pit, and on the Edin Hope, and Polar Star lodes to the south. This drilling is aimed at testing gold mineralisation over a strike length of 1.8 kilometres with additional work planned on other anomalies with potential to fall within an enlarged open cut. Once this drilling has been completed the entire Bluebird deposit will be modelled and optimised to evaluate mine viability and processing at the Company’s Yaloginda Treatment Plant, 1.5 km from Bluebird. The acquisition of tenements covering the Paddy’s Flat area at Meekatharra, (an area that has historically produced more than 1.9 M oz of gold), presents a unique opportunity for the Company to substantially increase its resource base, and for the long term viability of the Meekatharra operations. Paddy’s Flat, about 16 km from the Yaloginda Treatment Plant, has current indicated and inferred resources of approximately 1.3M oz gold which are in transitional to fresh sulphide ore, with remnant oxide material located between the existing pits. Historic drill intersections that currently lie outside defined resources include 59m @ 4.1 g/t (VIRCD029) and 85m @ 3.5 g/t (VIRCD033); both holes were drilled in 2005 with the intersects correlating with a broad alteration zone. An extensive review of drilling results and historic reports is currently underway, along with a review of the geology of the deposits and SpaDiS™ analyses. The current work is being undertaken on the Mickey Doolan, Vivian Consols, Mudlode and Prohibition deposits all at Paddy’s Flat with detailed drill targeting to, test mineralisation continuity, expand resources begin metallurgical test work and resource development in mid-2006. Meekatharra North comprises major zones of oxide mineralisation located approximately 30km from the Yaloginda Treatment Plant. Current drilling indicates gold mineralisation from surface within an extensive alteration zone. Anomalous gold values are present within the alteration zone over a strike length of 3 km, with deep weathering potentially indicating low cost mining. Mineralisation has a current along strike length of 450m, with the deposit open below 100m vertical depth and along strike to the north. An extensive drilling campaign in excess of 10,000m of RC drilling in conjunction with a Pole-Dipole IP survey is planned for the first half of 2006. The drilling will delineate the full extent of mineralisation, enable the definition of a resource and evaluate the viability of open cut mining in oxide ores from surface. There are no other details requiring disclosure under the Aim Rules relating to further information on the appointment of Denis Geldard, including other public company directorships.